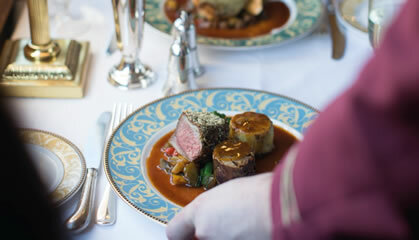 There is no better way to experience a day at the races than on board the Northern Belle. The glamour, thrill and excitement begins the second you see the train stationed at London Paddington where you will start your incredible journey to Cheltenham Racecourse. Liveried stewards await with a red carpet welcome and show you to your plush armchair seats. 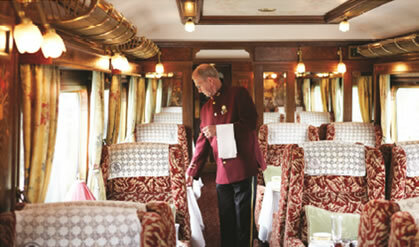 Intricate marquetry, hand sewn fabrics and mosaic floors make this beautiful train a moving piece of art. 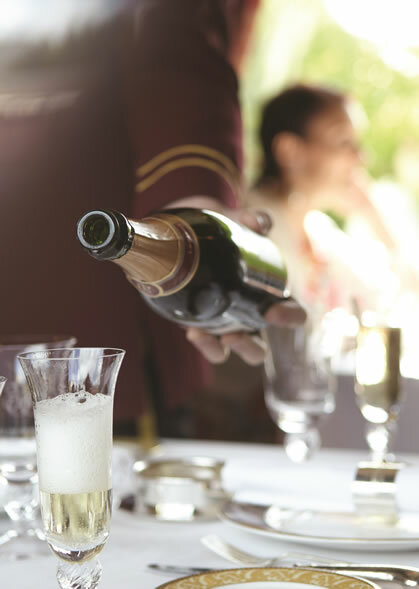 From the comfort of your exquisitely decorated Pullman carriage you will glide across country, enjoying the finest food, wines and Champagne. Enjoy a Bellini Brunch, study the form, get some racing advice from our onboard tipster and enjoy the views from your picture window as we journey to the market town of Evesham, located in the heart of the Cotswolds. On arrival, coaches await for the short journey to Broadway Steam Railway Station where you will board a magnificent steam train which will embark on a 45 minute Journey through the beautiful Cotswolds, Malverns and Vale of Evesham and transport you and your guests directly to the back of the main Grandstand at Cheltenham Racecourse. You will pull into Cheltenham Racecourse Steam Railway Station located just a furlong from the Paddock in unique and nostalgic fashion. 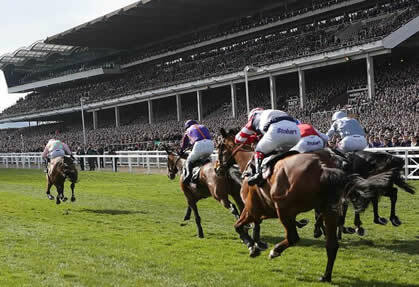 Your package includes a Club Enclosure admission ticket which is the premium entry ticket at Cheltenham giving you access to the prime viewing lawns located by the winning post, Parade Ring and various bar facilities. After an action packed day’s racing and witnessing the 2020 Cheltenham Gold Cup, you will re-join the steam train which will take you on a stress free journey back to Broadway — you will miss all of the traffic and congestion in and around the racecourse. Once back at Broadway, our coach transfers will be on hand to return you to Evesham where you will re-join the majestic Northern Belle luxury vintage train for a very special journey home. A delicious five course meal paired with specially selected wine awaits. With Champagne in hand, sit back, relax and raise a glass to a very memorable day at the races. Please note: All timings are provisional and are subject to change. Final timings will be confirmed closer to the event date. All prices stated are per person. VAT does not apply.